ASCUS Lab is a facility where anyone has the opportunity to access lab equipment and the tools of science, along with expertise and support for their own experimentation in art and science. In our lab we provide a wide variety of resources and equipment that have been gathered through generous donations via the UoE’s Social Responsibility and Sustainability department and Warp It redistribution network. Scroll down to read more about the current areas of focus of the lab as well as the resources and equipment we have available as part of our facility. The main focus’ of ASCUS Lab based on its current resources and equipment are Microscopy, Microbiology and DNA analysis, and in March 2018 we were awarded our Genetic Modification license from the HSE to carry out specified work in this area. However there is always more work to be done to keep developing the facility so watch this space! We would like to take this opportunity to thank the individual researchers at the University of Edinburgh and in particular Warp It and the Social Responsibility and Sustainability Department for their ongoing support, for without which, their kind donations of ex-research equipment, the ASCUS Lab as you see it today would not exist. In ASCUS Lab we have a range of basic consumables, glassware and Personal Protective Equipment (PPE) that are necessary for general lab work. We also have a wide range of chemicals and stains for different protocols so please get in touch if you want to enquire about something in particular. 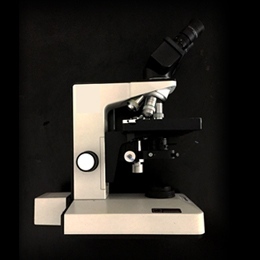 For Microscopy we have a suite of high-magnification upright and inverted microscopes equipped with a range of microscopy techniques including; polarised light, dark-field and oil immersion, as well as more advanced techniques including; fluorescent, phase contrast, differential interference contrast (DIC) and Hoffman modulation contrast (HMC). We also have slide making consumables and equipment including a microtome for slicing thin sections. 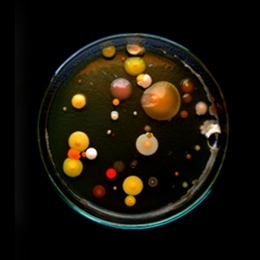 For Microbiology we have an in house collection of microorganisms which includes but is not limited to; Bioluminescent bacteria, Pigmented bacteria, Oscillatoria sp., Actinomycetes, S. cerevisiae, Microscopic fungi, Slime mould and E. coli. We have Biological Class II Safety Cabinet facilities, a centrifuge, incubators and other consumables and media for preparing cultures. For DNA Analysis and Genetic Modification we have a range of pipettes, and tips of various sizes as well as eppendorf tubes and other consumables regularly used in DNA Analysis protocols. We have PCR machines, electrophoresis kits, gel docs and a transilluminator and printer for visualising DNA. We have also had our genetic modification license for work with microorganisms and C. elegans approved by the HSC and we have autoclaving facilities to safeguard this type of work. As a non-profit organisation dedicated to public engagement in the arts and sciences, we depend on the ongoing and generous support of our donating partners to continue to develop the lab as a valuable resource and venue for innovative public engagement. Please contact us at lab@ascus.org.uk if you have equipment or consumables you would like to donate. ASCUS Lab is a unique lab space with high ceilings, lots of daylight and that unmistakable lab feel. The space is ideal for demystifying the often hidden science that happens behind the closed doors of a lab through hands-on workshops, with bench space for up to 16 people. There is open floor space next to lab benches for talks/presentations that can also sit up to 20 people, this is accommodated for with folding chairs that can be easily laid out and removed as necessary. This ability to accommodate both presentation seating and working lab space makes the ASCUS Lab an ideal and flexible workshop space to make experiences of ‘real’ science more accessible. Projection equipment is available, please let us know that this is something you require as part of your enquiry. 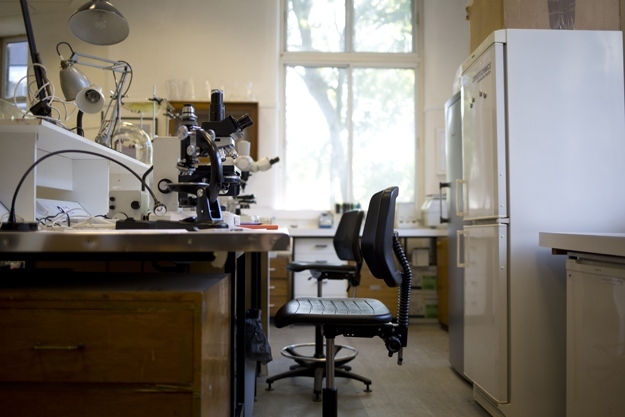 ASCUS Lab is situated across the corridor from Summerhall’s Histology Lab, which is available to rent separately via Summerhall, and is ideal for larger capacity workshops. As ASCUS Lab is a real working laboratory, therefore drinking and eating is not permitted in this space, catering can be organised for events taking place in the histology lab. Detailed below are the specifications for ASCUS Lab. If you require further technical information please get in touch via lab@ascus.org.uk. At ASCUS Lab we are passionate about the fields of art and science but for hire we accept any types of proposals that would see the value and benefit of running a project/workshop/event in a lab. We like to consider ourselves open, approachable and flexible, so do send us along your proposal and we look forward to bringing your ideas to life. Please note – all specifications are subject to change at any time. Please confirm any requirements in advance.